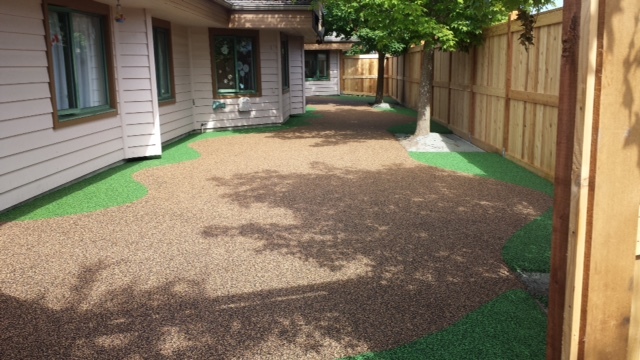 Landsafe® rubber surfacing for care facilities. Over the past several years Marathon Surfaces has done extensive testing on a surface that will reduce the severity of injury in fall related incidences. The result is our modified Landsafe® for care facilities. Using our vast experience in the installation of rubber safety surfacing, we have tailored this duel-durometer system to have a firm surface and a shock absorbing base layer.